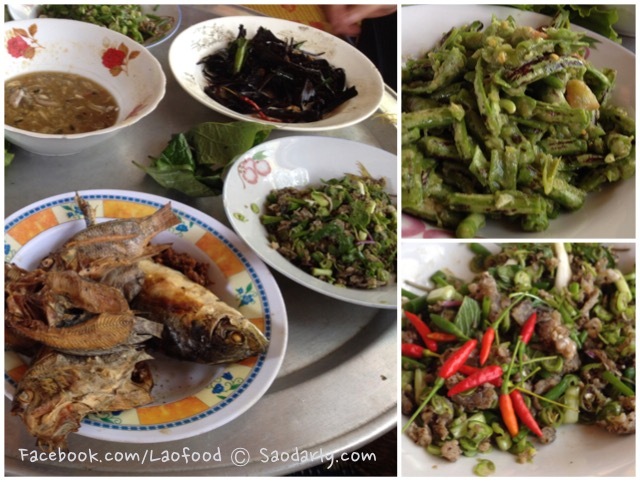 Minced Fish Salad ( Koy Pa ກ້ອຍປາ ) for lunch at Ban Ling San in Vientiane Province, Laos. My aunt and uncle took me to visit some relatives for the first time in my life. One family is living on a paved road near the entrance to the town with electricity and running water. 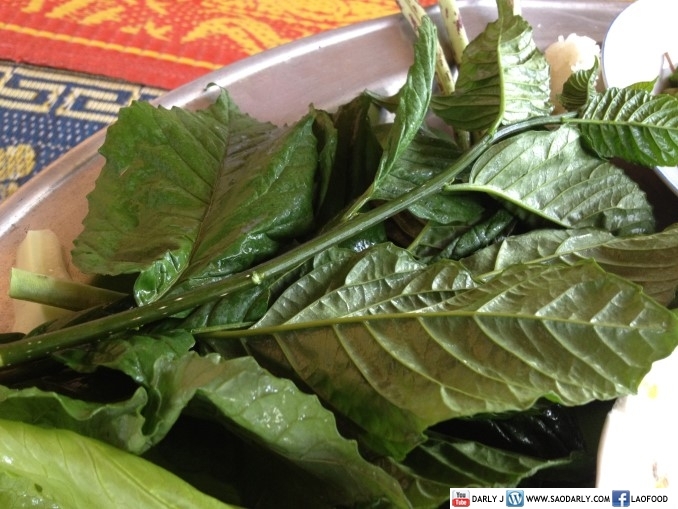 The second family is living next to Nam Ngum River with no electricity and no running water. This family makes a living by growing corn, papaya, and tamarind. With limited resource, a team of husband and wife made a nice lunch for all of us. 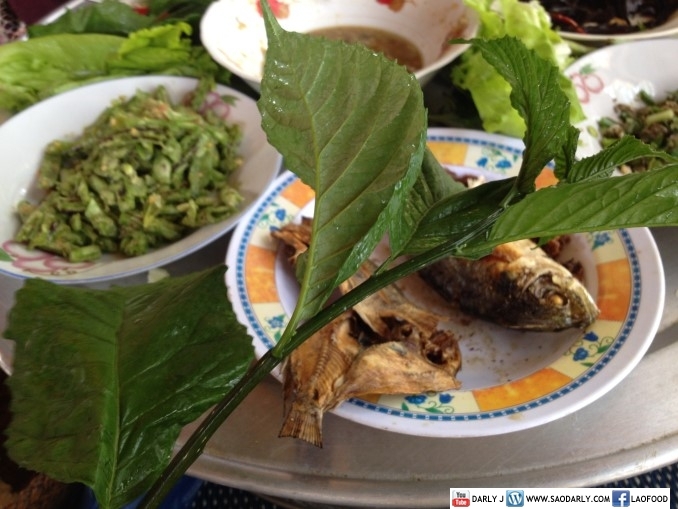 They got fresh fishes from the river and made Koy Pa (Minced Fish Salad) using vegetables and herbs in the garden to complete the meal. 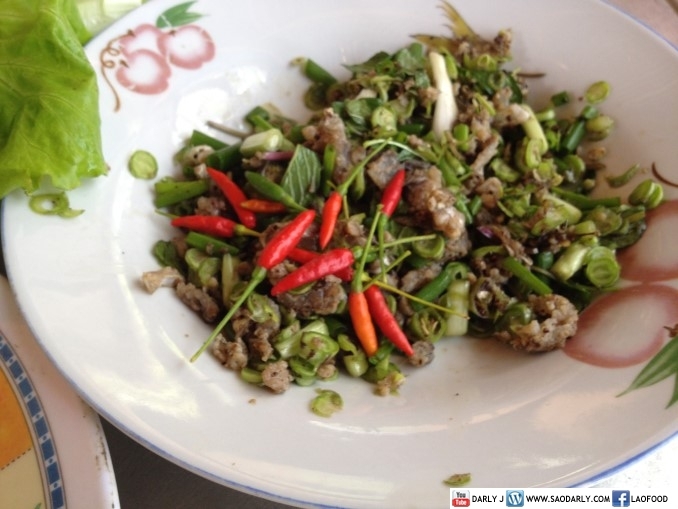 This version of Koy Pa is raw minced fish mixed with lime juice, Padek (fermented fish sauce), string bean (long bean) shallot,green onion, cilantro (coriander), mint, ground roasted sticky rice, and ground roasted chili pepper. 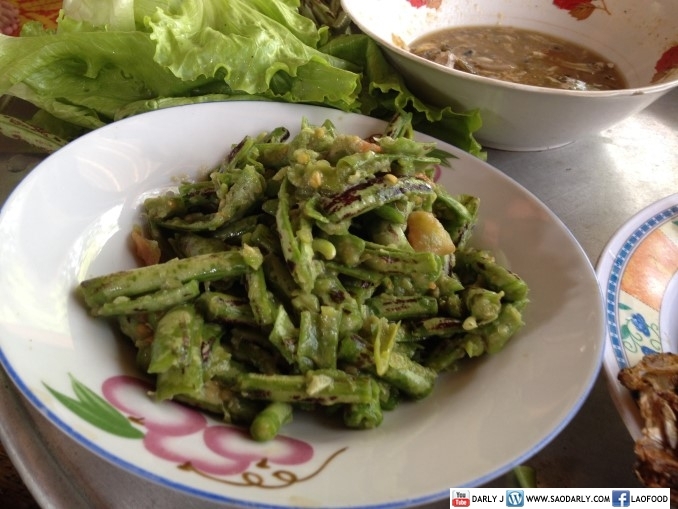 They also made String Beans salad ຕຳໝາກຖົ່ວຍາວ and picked the organic beans from their garden and grilled some dried fishes they caught themselves from Nam Ngum River. 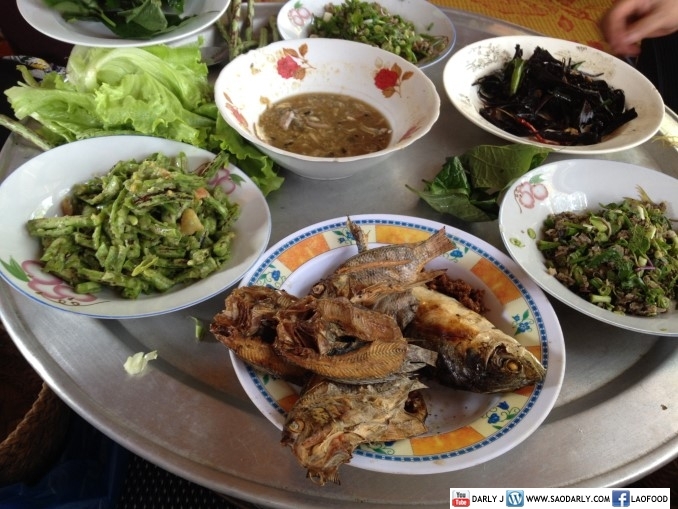 Just to made sure no one went hungry, they added Pon Pa ປົ່ນປາ (puree of cooked fish), fried Luang Prabang mushroom, grilled Mackerel and other dried fish , and two dipping sauces on the serving tray.